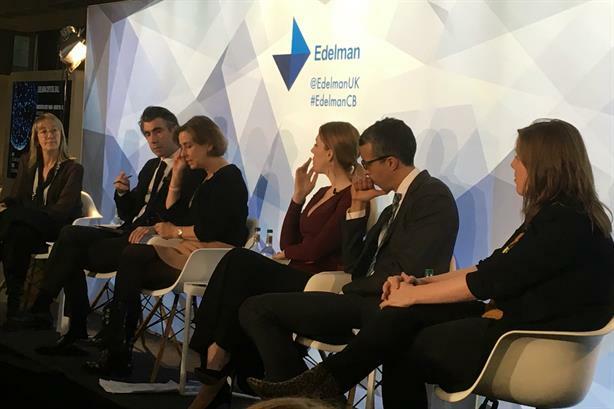 'Voice-command commerce', popularised by systems such as Alexa, are a "nightmare" for consumer brands, which must focus on being memorable to survive, Edelman UK CEO Ed Williams has warned. Such technology is an "existential and defining moment" for brands, he told a panel session on predictions for 2018 at the agency’s London HQ. In reference to Alexa, Williams said: "If you’re a brand, this is a nightmare. If you remember, with Google and with search [engines], it was a nightmare for news brands because suddenly your brand didn’t matter anymore – put it in Google, search for news and news come up, it didn’t matter whether it’s the BBC, Guardian, FT, or whatever. "This is what’s going to happen with voice-command commerce now. The real risk is, that unless you have a core brand – ie a brand that stands for something that’s memorable, that has cut-through - you’re going to end up being aggregated by an algorithm. "If you’re a consumer brand business, I think this is a really existential and defining moment. We’ve already seen consumer behaviour change from shopping on the high street to shopping online. Now we’re just shouting at machines, which is quite a worry, I think." Williams also criticised moves by brands, most recently Pizza Hut, to stop working with tabloid newspapers after backlash on social media. "[Pizza Hut] were shamed online [for] advertising in The Sun. What happened, that it’s a crime to advertise in The Sun and The Mail? We’ve somehow got to a place where that is ok, that you can be swarmed online. This is a not a good thing." Other panellists at the Crystal Ball 2017 event discussed the issue of trolling, with Labour MP Jess Phillips recounting hateful messages she has received on social media. BBC economics editor Kamal Ahmed said Twitter should not be confused with "the real world". Separately, Williams labelled Donald Trump "the best thing that’s ever happened to journalism", given his headline-grabbing rhetoric. "I think it’s going to be an absolutely brilliant year for journalism next year," Williams predicted. "There is one person who has single-handedly done more for journalism than everybody else. "Look at what’s happened with the New York Times, look at what’s happened in the [Washington] Post. He is the man who just keeps on giving and giving and giving." Fellow panelist Marisa Drew, CEO, impact & advisory, at Credit Suisse, added: "I was with [former Chancellor, now Evening Standard editor] George Osborne last night at a dinner and he said the best thing that’s ever happened is... every day I wake up and Donald Trump’s written a headline for me."